February 27th, 2019: Leading production and distribution studio, Sony Pictures International Productions in India and Telugu super star Mahesh Babu's production house G Mahesh Babu Entertainment (GMB) have closed a deal to produce Major, a Hindi and Telugu bi-lingual film based on an inspiring tale of valour and sacrifice. The deal marks Sony Pictures' entry into the Telugu film industry as it expands its regional footprint, as well as GMB's entry into Hindi cinema with a true story that captured the nation's imagination. 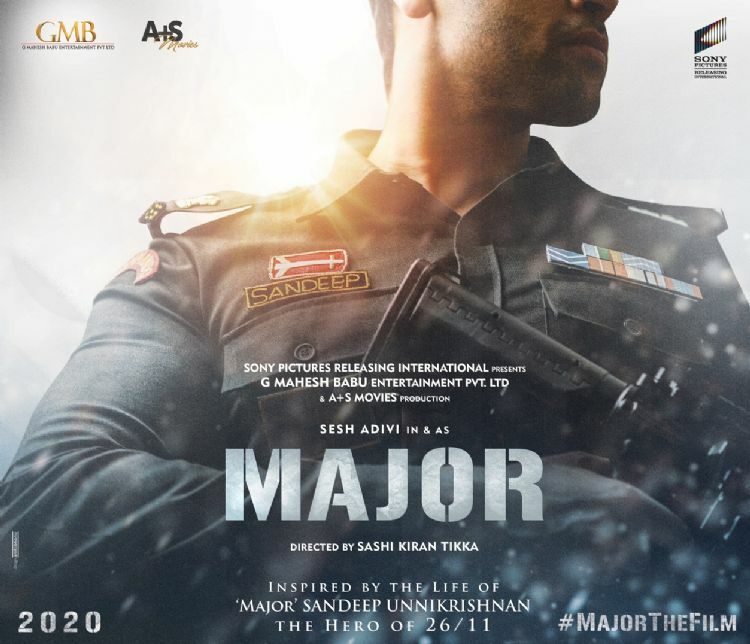 Major is inspired by the life of Major Sandeep Unnikrishnan, the brave NSG commando, who saved several hostages during the 26/11 attack at the Taj Mahal Hotel in Mumbai and ended up sacrificing his life for the nation. Major Sandeep was decorated with the Ashoka Chakra, India's highest military honour in peacetime. Prominent young actor, Adivi Sesh, who has previously starred in and written two breakout Telugu hits-Kshanam and Goodachari, will play the lead. Sesh has also written the film and Goodachari director, Shashikiran Tikka will direct. The film is co-produced by Adivi Entertainment and Sharath Chandra and Anurag Reddy's A+S Movies.